Bringing the best in ASML parts, equipment and service to our customers. We offer basic to advanced hands on training. PM’s, Repairs, Installs, De-installs and More. We Buy and Sell ASML Equipment. We Repair, Exchange and Sell ASML parts. EO Technical Solutions is the Semiconductor Industry’s #1 Second Source for ASML parts repair and ASML rebuild services. With over 80 years of combined lithography equipment and engineering experience on both the supplier side and in the fabs, no one is more trusted than our team at EO Technical Solutions for your lithography needs. Learn more about our qualifications. EOTS is the leader in second source parts for the ASML PAS5500, PAS5000, & PAS2500 Series equipment. The three transaction types that we offer are Repair, Exchange, and Sale. 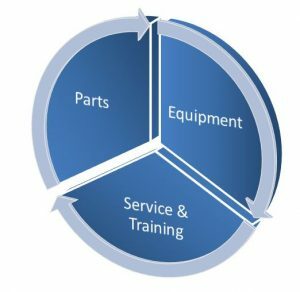 Click here to learn more..
View our available OEM Spares. EOTS’s specialized capabilities in the PAS5500 Market has made us a go-to choice for buying and selling ASML equipment. EOTS has gained a strong reputation for innovative support solutions. There are no middle-men with tools being owned by EOTS and located in the Pacific Northwest. Learn more. With 80 years of combined ASML experience, four full time sr. equipment engineers perform a variety of Services. Full service contracts, tool installation & deinstallation, as-need service & quarterly PM’s are among the most common. In 2016 alone, 650 hours were logged at customer sites worldwide. Learn more. Universities / Govt Sales Rep.